Edited by Qian Chen . 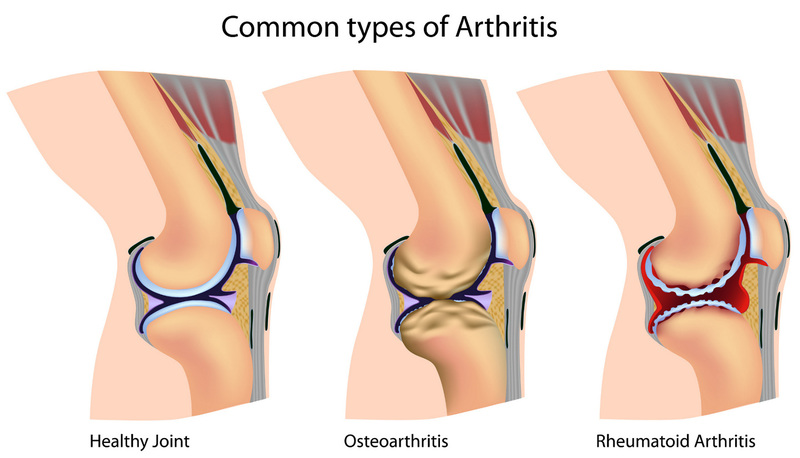 Osteoarthritis is one of the most debilitating diseases worldwide. Millions of people suffer from pain and disability associated with this disease. There are two major types of OA: primary and secondary. The primary OA is associated with aging. While people live longer and longer, the prevalence of OA becomes more prominent. It is expected that the percentage of the people who suffer from OA will continue to rise in the coming decades. The secondary OA is a consequence of injury to the joints. It is often associated with sports injury and/or other traumatic events. Thus, it often occurs in young people and adults who enjoy an active life style. Although the direct damage to the joint such as rapture of the ligaments is often repairable by surgery, the patients nevertheless would likely suffer from degeneration of the joint cartilage later in life. My connection to OA is several fold. Because of the prevalence of OA, many of us know family members and/or friends who suffer from the disease. I am no exception. My mother suffered from both rheumatoid arthritis (RA) and OA. Although she also suffered from other diseases, she complained most about arthritis. Some of the other diseases might be more life-threatening; however, none of them brought as much pain and restrained her to bed on a daily basis as arthritis. She often said that life is not worth living if there is no quality. After her RA was brought under control by new drug therapy and both her knees were replaced by surgery, her pain became manageable and her mobility was regained. She was able to perform daily routine activities by herself that many of us take for granted, such as going to the bathroom, standing up after sitting, and walking the stairs. Her outlook on her life in the old age was brightened significantly because of the new treatment and surgery. As a biomedical researcher, I was fascinated by the intricate process of cartilage development and aging since I was a young graduate student. The research was driven primarily by interest and curiosity. However, my mother’s life experience and my interactions with other arthritis patients brought urgency as well as practicality into the basic research we were conducting. The basic knowledge gained from research must be translated into new methods of diagnosis, treatment, and surgery for patients. That is the most direct and effective way to improve the life quality of patients. So far, there is no FDA approved disease modified drugs for OA. Joint replacement surgery remains the last, and perhaps the most effective way to restore the functions of the joint. Due to these circumstances, a multifaceted approach is needed to improve the current treatment as well as to develop new therapy for the future. We need to emphasize the improvement not only diagnosis and treatment of OA, but also the surgery to restore the function of the joint. We need to consider not only mechanistically driven research, but also alternative medicine that has been in practice in treating OA related symptoms in different parts of the world for long time. Based on these guiding principles, we have included a variety of articles written by physicians and OA researchers from different parts of the world. The topics of the articles include general as well as alternative treatment of OA, diagnosis of OA in upper extremity (hand, wrist, shoulder, and elbow) as well as in lower extremity (hip, knee, and ankle), and common strategies for treatment as well as surgery of OA. We hope that this book serves as a comprehensive resource for professionals as well as patients who are interested in learning the state-of-the-art of OA diagnosis, treatment, and surgery. To borrow a Chinese proverb 抛砖引玉 (cast a brick to attract jade), we hope that this compilation of a variety of articles in this book, some of which are nontraditional or even provocative, may serve as a precursor to the breakthrough in developing new therapy and treatment of OA in the future.